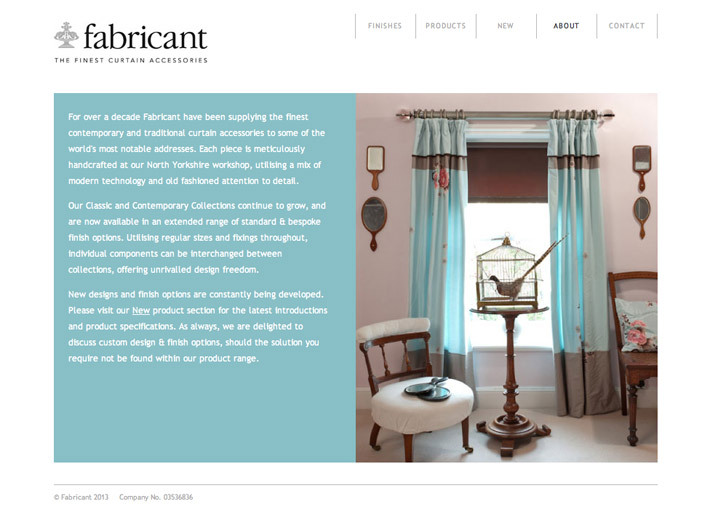 For over a decade Fabricant have been supplying the finest contemporary and traditional curtain accessories to some of the world’s most notable addresses. 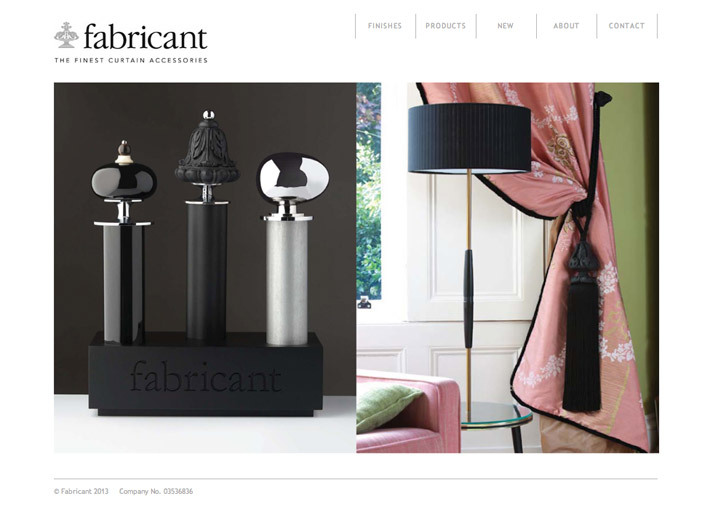 Each piece is meticulously handcrafted at their North Yorkshire workshop, utilising a mix of modern technology and old fashioned attention to detail. 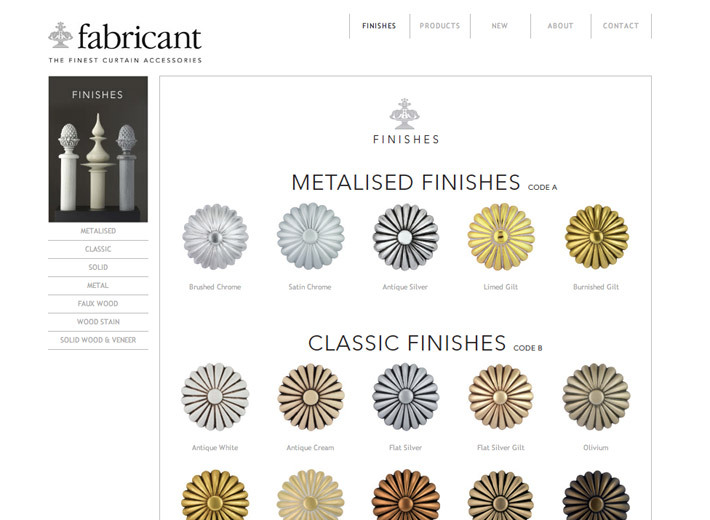 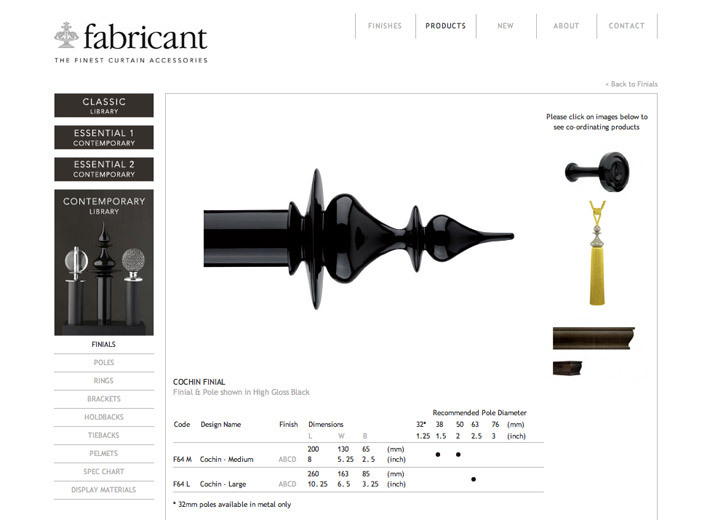 Design of new website displaying the complete range of Fabricant finials, poles, brackets, holdbacks and accessories. 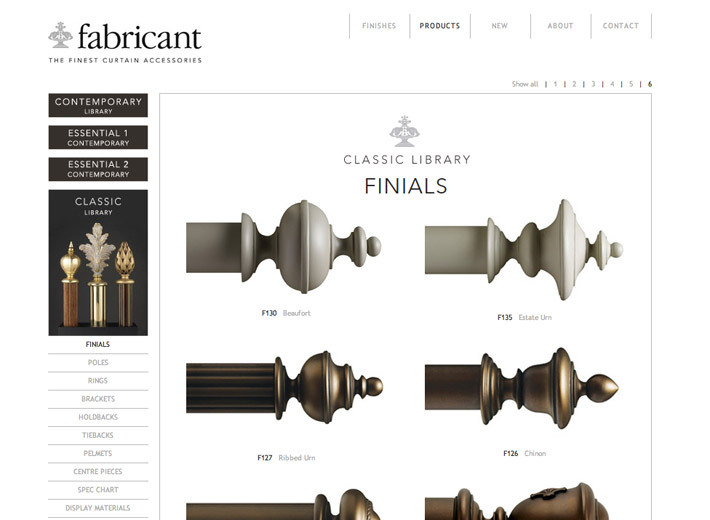 The products are divided into collections to facilitate easier selection.